Players who pre-order Watch Dogs at GameStop stores across North America will receive a single player mission, The Palace Pack, which includes an investigation bonus and ATM hack boost. The investigation bonus will unlock exclusive investigation opportunities inside of the network and the ATM hack boost will increase cash rewards when hacking into bank accounts. In addition to the single player Palace Pack mission, players who pre-order the game will receive an exclusive poster designed by famed comic-book artist, Alex Ross – while supplies last. For pre-orders on Amazon.com, players will receive the Signature Shot Pack which comes with an exclusive single player mission that once completed, unlocks both a unique Biometric Assault Rifle and the Black Viceroy’s Outfit. The biometrics weapon has been smuggled into Chicago for the captain of the Black Viceroy’s gang. The weapon only works for the first person to imprint their palm on the handle. Players will need to breach a stronghold, steal the package and be the first to imprint the weapon and get out of The Wards alive. 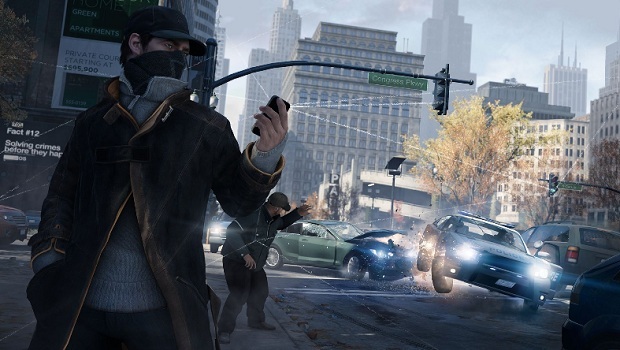 Watch_Dogs is due to be released November 19 for PC, PS3, Wii U, and Xbox 360. It will also be released for the PS4 at launch, and presumably for the next Xbox as well. I’m pretty sure we’ll be hearing more about this title at E3 next month, so stay tuned!